The latest Global Entrepreneurship Monitor (GEM) Report for Ireland has just been published. It will come as no surprise to anyone, that it reports that more men than women are actively planning and starting new businesses in Ireland (2.1:1). This situation is not unique to this country. Across Europe, Switzerland is the only country in which men and women are starting new business at the same rate. 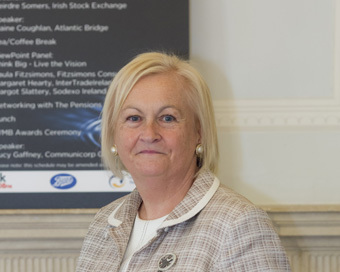 Words: Paula Fitzsimons (pictured), co-author of the 2014 GEM Report. The rates at which women are setting up new businesses in the US, Australia, and Canada are very high and are certainly higher than in any country in Europe. As these countries are characterised by exceptionally high rates of early stage entrepreneurial activity, however, there is still a gap in the rates at which men and women are early stage entrepreneurs. Of the 20,400 individuals who started a business in Ireland in 2014, 14,400 are men (70.5%) and 6,000 are women (29.5%). Do men and women set up different type of businesses? A much higher proportion of employed women (90%) compared to employed men (63%) in Ireland are engaged in the services orientated sector. Accordingly it is not surprising that the majority of female early stage entrepreneurs are focused on the services orientated sectors (73%) with relatively few engaged in the transformative sector, which includes manufacturing and construction. Almost one third of early stage male entrepreneurs are engaged in the transformative sector. Almost one in every two early stage female entrepreneurs is focused on consumer orientated services (48%). This sector is of far less importance to male entrepreneurs (21%) for whom business orientated services is the dominant sector (39%). While the majority of both male and female entrepreneurs expect to become employers within the next five years, there is a considerable difference in the rate between male and female entrepreneurs in this regard (74% compared with 62%). There is an even greater difference in the rate at which male and female entrepreneurs aspire to achieve significant growth, with almost one in three (32%) male entrepreneurs expecting to employ at least ten within five years, compared to one in six female entrepreneurs (17%). The gap widens further as the growth aspiration is increased. Men compared to women continue to be more confident in their perception of having the necessary skills and knowledge to start a business and men have higher growth aspirations for their new businesses. This is not just the case in Ireland, however. Even in those countries which have a much narrower ratio in the rates of male and female early stage entrepreneurs, women in the general population report lower levels of confidence in their perception of their having the skills and knowledge to start a business. Ireland is no exception – 58% of men in the general adult population perceive that they have the necessary skills compared to 37% of women. This relative lack of confidence among women in the general population in Ireland is not related, however, to lower educational attainment levels. Entrepreneurs in Ireland are highly educated, with 78% of all early stage entrepreneurs having some level of post-secondary school education. In fact a higher level of female compared to male early stage entrepreneurs have post-secondary education (81% compared to 77%). Necessity the mother of invention? GEM explores with those surveyed the reasons underpinning their decision to become an entrepreneur. Necessity – no better options for work – as a motivation for early stage entrepreneurial activity is relatively high in Ireland with almost one third stating that this was their motivation. It is lower among male entrepreneurs (26%), however, than it is for female entrepreneurs (39%). Comparing like with like, necessity as a motivation for entrepreneurial activity is considerably higher for female entrepreneurs in Ireland than it is across Europe (26%). Fear of failure as a deterrent to starting a business is present to some extent in every country, even among those with relatively high rates of early stage entrepreneurs. In general it is more evident among women than it is among men. In Ireland 37% of men and 48% of women report that fear of failure would act as a deterrent to their engaging in entrepreneurship. Not all businesses whether new or established will be successful. Each year a certain rate of early stage and established entrepreneurs will close a business. Despite their risk adverseness, or perhaps because of it, fewer business owned by women entrepreneurs fail. As in previous years, a higher proportion of male compared to female entrepreneurs discontinued and exited a business in Ireland in 2014 (2.0% compared to 0.3%). Across Europe, Switzerland is the only country in which men and women are starting new business at the same rate. The gender balance in early stage entrepreneurial activity in Switzerland has been at 1:1 or close to it for several years. A similar observation can be made about the relative rates of male and female owner managers of established businesses in Switzerland. At 1.2:1 the ratio is closer than in any country across Europe and North America. A similarly narrow ratio may be observed only in Australia. The UK, which experienced a significant increase in early stage entrepreneurial activity in 2014, maintained the gender ratio among male and female entrepreneurs (1.8:1) that has been evident for the last four years. Higher rates of early stage female entrepreneurial activity may be observed in the US (11.2%), Australia (10.1%) and Canada (9.9%) than in any country in Europe. Even in these countries, there is still a gap in the rates at which men and women are early stage entrepreneurs. The interesting insight from the Swiss data is that the perception of opportunities for entrepreneurial activity is almost equally prevalent among men and women in the general population (46% among men and 41% among women). This is not only considerably higher than in Ireland (39% and 29% respectively), but it is more evenly matched. A high perception of opportunity is not sufficient in itself to lead to high rates of entrepreneurial activity, however. In Sweden 71% of men and 69% of women in the general population perceive good entrepreneurial opportunities. While this rate of perception is the highest in Europe and is fairly evenly balanced, the overall rate of early stage entrepreneurial activity in that country (6.7%) is not dissimilar to Ireland (6.5%) and the ratio of male to female early stage entrepreneurs (2.5:1) in that country is much wider than it is in Ireland (2.1:1). Men and women in Switzerland diverge sharply, however, in their belief that they have the knowledge and skills to successful start a new business, (51% and 32%). In this they are broadly similar to men and women in Ireland (58% and 37% respectively). This divergence in perception is evident right across Europe, and is most noticeable in Poland (70% and 39% respectively). It is also apparent in North America, Australia and across Scandinavia. So it would appear that a relative lack of confidence is not in itself a sufficient deterrent to inhibit the rate of start –ups by women. Will more women be found among entrepreneurs in the coming years? The relative untapped entrepreneurial potential of women has been recognised for many years at national level and a range of measures have been introduced to encourage more entrepreneurial activity among women and concrete supports have been put in place to release their perceived potential. Excluding those who are not already an entrepreneur, the rate at which women in the general adult population in Ireland are reporting a clear aspiration to become an entrepreneur in the coming three years, shows a definite narrowing of the gender gap in this regard. The rate, expressed as a ratio between men and women, is relatively narrow (1.6:1). The challenge will be to ensure that women, who have a strong entrepreneurial aspiration, are able to realise their ambition. The goal should be to encourage more women not only to start a new business but to encourage a greater number to position that new business for growth. In that way the benefit of their entrepreneurial activity will increase not only for the women concerned, but for their families, their communities and the wider society. Now is an excellent time to start and grow a new business. Women of Ireland – what’s stopping you? Paula Fitzsimons is the National Co-ordinator of GEM for Ireland, Director of Going for Growth (www.going forgrowth.com) and of ACORNS (www.acorns.ie). The Co-authors of the 2014 GEM report for Ireland are Paula Fitzsimons and Dr Colm O’Gorman, Professor of Entrepreneurship, DCU. The latest GEM report can be downloaded from the website www.gemireland.com GEM research is sponsored in Ireland by Enterprise Ireland, supported by the Department of Jobs, Enterprise and Innovation. Paula was the Boots WMB Empowering Women Award winner in 2014 and this year she is the Chairperson of the judging panel for the 2015 WMB Awards.